As I have written about before, more and more people are taking oral anticoagulants for various medical conditions. For better or for worse, they aren’t then staying at home in a padded room, but continuing on their daily activities and hobbies. Since many of these hobbies occur in the wilderness setting, there is an increased incidence of injuries to the iatrogenically coagulopathic patient. This paper states that the reason they performed a review of the literature is due to a case report of an person attempting to take part in an outdoor course (NCOBS) while taking warfarin for previous DVT. The course instructors declined the person due to their own guidelines, but the patient and his physician appealed. This prompted the course to consult with their medical advisor. 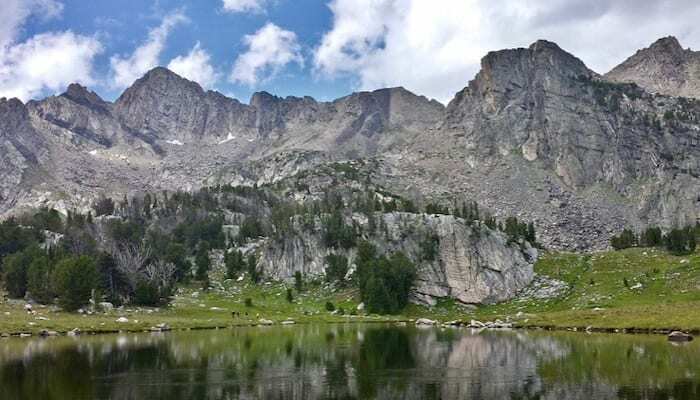 Since the course included rock climbing, there was concern that an injury in the backcountry (defined by the authors as areas requiring more than 1 hour of transport to get to definitive medical care) would add unnecessary risk in the person. In searching the literature, they discovered that there really isn’t much out there. The guidelines are vague and have statements against activities with cuts, bruising, injury, contact sports, or bodily collisions. These are well and good, but are not based on any data. Even worse, there are conflicting guidelines out there, with some allowing sport climbing, and others recommending against rock climbing, as if there is some enormous difference. Certainly the injury most are worried about is intracranial hemorrhage, as this presents significant morbidity and mortality in the coagulopathic patient. There is nothing in the literature directly pertaining to the wilderness setting for ICH though. Other studies point towards increased risk of bleeding. Since most were designed to study need for imaging in low risk patients, the high risk patients are excluded.This makes the validity questionable. You also can’t really “watch and wait” a patient in the woods, so effectively this means you’re going to be calling for evacuation for anyone who has more than the most trivial injury. Patients on warfarin taking trips longer than a week run the risk of either falling out of therapeutic range, or having to carry their own device to measure INR and then adjusting their dose. Seeing as how I’ve seen exactly zero people do this in a community setting, I’m not going to hold by breath that the guy hiking the AT is going to do it either. I guess they would be really motivated. The authors do note that both low molecular weight heparin as well as the newer agents have more stable pharmacokinetics, allowing less risk of coagulopathies from excess anticoagulation. A. We recommend that patients anticoagulated with clopidogrel or warfarin involved in traumatic incidents not involving head injury or significant hemorrhage be treated similarly to nonanticoagulated patients, with only slightly heightened conservatism based on increased theoretical risk for bleeding sequelae. However, there does not appear to be compelling evidence that these patients need to be automatically evacuated or treated as having objectively verifiable increased risk of bleeding sequelae. B. We recommend that every effort be made to prevent head injury in anticoagulated patients (warfarin or clopidogrel) during wilderness activities. This includes helmet use and activity modification whenever possible and reasonable. C. We recommend any patient anticoagulated who sustains a head injury and is taking clopidogrel or warfarin be evacuated, when feasible, regardless of clinical symptoms. Note that clopidogrel patients may have an increased risk of immediate ICH versus warfarin patients, but warfarin patients have an increased risk of delayed ICH (not initially apparent radiographically, but appearing within 14 days), which does not appear to be a concern with clopidogrel. Note however that there appears to be a low rate of need for surgical intervention in these cases of delayed ICH. Their guidelines are a reasonable attempt to clear a fairly muddy picture. Nobody wants to place patients at unnecessary risk, but preventing everyone on anticoagulants from participating in any activity is also not the answer. I feel that most will be fairly conservative with this patient population.